Joana Hancock is a Ph.D. student of the BIODIV Program at the CE3C, as part of the Tropical and Mediterranean Biodiversity Group since September, 2014. 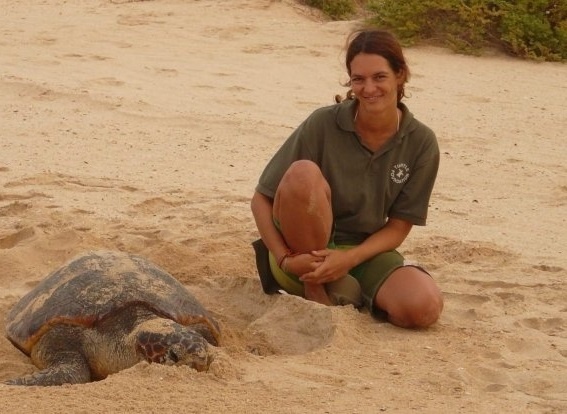 She is conducting a research project on the marine turtles occurring in the archipelago of São Tomé and Príncipe, West Africa, under the supervision of Prof. Rui Rebelo. The Ph.D. project aims to assess the current anthropogenic threats in the region and their impact on the conservation status of the local marine turtle populations and implications for their management.